Bluefin Tamashii Nations has announced that the S.H. Figuarts Sailor Venus will be released on April 19th in Japan. On the same day, they Life Size PROPLICA Moon Stick will be released as well. The Moon Stick will be coming to North America in May. Check out the images and info after the jump. Also on display at the S.H.Figuarts booth were characters from their upcoming Sailor Moon line of offerings. Check out images of Sailor Moon, Sailor Jupiter, Sailor Mercury, Sailor Venus and Sailor Mars. 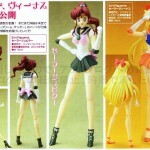 Prototypes for SH Figuarts Sailor Jupiter & Sailor Venus were shown last month. Both figures are due out next year(no specific date has been listed as of yet). 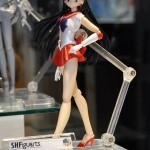 Also shown are new images of SH Figuarts Sailor Mars. Read on to check out the scans! 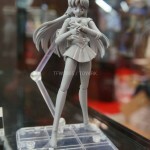 An all new prototype was shown, SH Figuarts Sailor Venus! Images come our way from AmiAmi’s Facebook page. Read on to check out the images!